Ideas for content can really come from anywhere…. ….News headlines, conversations with colleagues, brainstorming sessions with customers, meetings with prospects, emails with strategic partners, day to day business challenges, following industry trend posts and blogs, newsletters, influencers, networking opportunities, group chats,… you name it, ideas and hot topics are all around you. Many times though there are great resources out there that provide inspiration. Here is a link of some new insights to share – a TOP 10 list that may help spark ideas of your own to share and inspire the world around you. Consider that no topic is a bad idea, just consider the relevance of it – the timing and audience you are speaking to that you want to impact. Tip: Start a list of ideas. Jot down ideas and tackle one at a time, different topics may trump others, but when you are facing a blank screen, reference your go to list of ideas and hope that the juices start to flow. When in doubt, think about the last business conversation you had and what you learned, that is a good jumping off point. Carpe Diem for Great Marketing Content! What’s on the top of your mind today? Feedback, ideas and suggestions always welcome! You want an agency that is a great fit – one that meets your specific needs. Make sure to align yourself with the right agency that sees eye-to-eye on what is important to you in order to develop a long-term, mutually beneficial relationship. Here are a few key criteria to compare to the relationship with your current agency; if they are not meeting your expectations, it may be time to look around. Please share your thoughts and suggestions – feedback is always welcome! 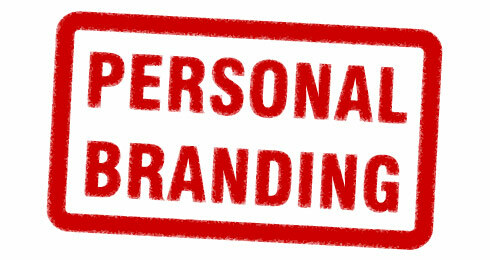 All of us have a personal brand; we may just not be aware of it. It’s time to take yourself seriously and identify and define truly who you are,what you do, and why you do it. How do you do what you do better than everyone else? When you communicate with others, what are you conveying about you? And where are you putting yourself out there or more so, where are you missing out? If you don’t know those answers, it is probably time for an assessment or if you do, a reassessment may be in order as we all change with time. Consider yourself a product and apply the marketing mix to you and your situation. Price – This is the value that you offer. What price is that? What do you charge for your time? What is your annual salary? Are you new to the market or do you have a ton of expertise, skills, knowledge and experience that warrant a higher price for your services? Knowing your value will dictate your price. Build your reputation and credibility to demand an investment in you (not an expense). Product – This is you. All that is you. You past, present and future. What is your skills set, education, experience, knowledge, experience, network (net worth) – you get the idea. All that you are follows you wherever you and whatever “hat” you wear; roles and career paths may change, but the sum of you only continues to accumulate overtime; adding more experience and adding to your value. You as a product may continue to evolve; you have to know where to stay the course (persevere) and where you to change lanes and go into a new direction (pivot). Placement – This is where you are at. Consider where you are present? Online – social media, website, email, etc. Offline – networking, meetings, client board rooms, phone call, etc. Always consider where you are at, the environment you are in and how you want others to perceive you. Being virtual allows one to have a different persona; when you are physically present, there are many more factors to consider. If you are passionate about what you do and show a true purpose to give, others will want to engage with you wherever you are. Promotion – This is putting you out there. What are you doing to toot your own horn? How are you conveying your expertise, thought leadership and being a subject matter expert? Are you writing white papers, are you tweeting, are you blogging, are you speaking, are you writing a book? How well do you share with others what you know, your authority on the subject matter and influencing others’ decisions? You often hear – “you don’t know what you don’t know”; that applies the same for your potential audience. Share with your audience (all that will listen) all that you have to offer (doing so in small doses – one topic at a time). After all, it is not who you know, but who knows you (keeping them aware and educating them about what you bring to the table). Each and every activity you do is marketing yourself; building and evolving your own personal brand. Take the first steps in creating your brand; you are your own product – now is the time to own it!